Many people underestimate the true complexity of commercial real estate. What they fail to realize is that, underneath each and every transaction is a large amount of robust, time-consuming, data-driven commercial real estate analysis. In this article, we’re going to cover everything you need to know about commercial real estate analysis, including the different types of analysis, how CRE professionals go about certain analyses, and the software you can use to do it all yourself. 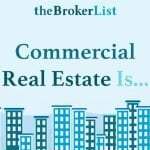 Commercial real estate analysis is a combination of quantitative and qualitative data that provides industry professionals with the information they need to make decisions. There are multiple forms of commercial real estate analyses (which we’ll get into below), but suffice it to say each type of analysis can be used by different parties for different purposes. 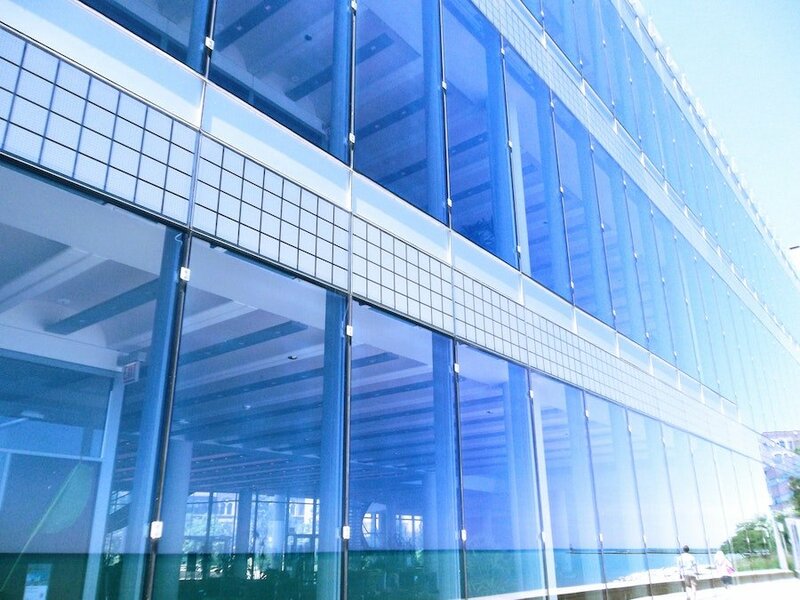 Real estate investors, property managers, lenders, brokers, and various contractors all rely on commercial real estate analysis. A real estate investor would want to conduct a market analysis to understand whether he or she is getting a good deal on an investment property. A management company would use a property analysis to determine ways to maximize revenue. A lender would want to see a financial analysis to ensure the borrower could repay the loan being taken out against the property. 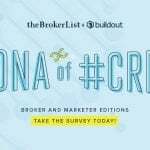 A leasing broker could use an owner analysis to prospect for new clients. 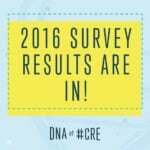 What all of these parties have in common, however, is that they use CRE analysis to inform their decision-making processes. Numbers include the potential purchase/sale price, as well as numbers associated with the physical property, including square footage, number of units, NOI and more. Narratives are the stories that tell the unique history of a property, which may influence how a commercial real estate professional interacts with the property. Indications are the signals that point to a person’s intentions related to a property. Assurance is some sort of validation that action is worth taking. For example, an investor may be looking to purchase a small, garden-style apartment building. As part of his or her due diligence, they run through a commercial real estate checklist intended to help evaluate various investment opportunities. One of the key steps on this checklist is to run a property title search. After doing so, the property lien search reveals a mechanic’s lien on the property. The investor digs a bit deeper, and learns that the existing owner owes a roofing contractor $50,000 for services rendered back in 2015. This is part of the property’s narrative. For the investor to take title to the property, this lien will need to be cleared up. Typically, a property analysis will be used in conjunction with a market analysis, investment analysis and financial analysis to inform an investor whether a deal is worth his while. An owner analysis is a great tool for industry professionals looking to source new business leads. 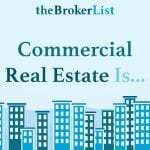 This type of commercial real estate analysis typically includes information about the property owner, including their name, address and contact information. Properties are often held in a limited liability company or trust, which makes finding owner information more difficult – but tracking down that information is critical for those in the industry. In addition to finding contact information for an owner, an owner analysis may also include information about a property owner’s other holdings. For instance, a debt broker may find through research that the owner of one self-storage facility also owns three other self-storage facilities and two parking garages in the same general location. The debt broker may then pitch the owner on refinancing their entire portfolio while interest rates are still low. Someone’s ability to find commercial real estate investors can really affect their successful in the industry. It’s important to build relationships with owners so you’re top-of-mind when they have a need for the type of services you offer. An investment analysis is a type of commercial real estate analysis that helps to compare one investment against another. It can be very useful in helping someone differentiate among asset classes. A builder, for example, may be trying to decide how to best utilize a vacant parcel located in the heart of downtown Boston. An investment analysis would include what’s known as a “highest and best use” analysis, which looks at what can physically be built on the site given local regulations, and then assigns potential values for each individual scenario. A 10-story lab building might prove more valuable, from an investment perspective, than a 20-story apartment building – or vice versa. An investment analysis can be used to validate and verify your investment decisions. A portfolio analysis takes the financial analysis for each property within a portfolio and then evaluates the properties together as a whole. For instance, a warehouse facility may be a loss-leader in a portfolio, but several fully-occupied apartment buildings may be offsetting those losses when the portfolio is analyzed as a whole. Running a portfolio analysis, either on your own or through the support of a management company, is essential for investors considering their exit strategies. When used in conjunction with a market analysis, for example, an investor may realize now is a great time to sell an underperforming warehouse facility. This will allow them to recapitalize and pursue investing in another apartment building, an asset class that is thriving in their portfolio. Property managers, investors, and sales brokers often analyze the portfolios of others, too. Doing so can provide valuable information about whether an owner should buy or sell (assets and/or services). A property manager, for example, might discover that Property Owner Sam’s portfolio has a 30% vacancy rate across the board. In turn, the property manager reaches out to Sam and offers to manage his portfolio. He promises to decrease the vacancy rate, which will more than offset the cost of his services. A commercial real estate financial analysis has many components. Inputs can range from construction costs to management fees. A financial analysis will almost always look at the existing rent roll, vacancies, and other sources of income generated by the property (e.g., parking spaces, storage lockers and coin-op laundry). The numbers generated though a financial analysis can be used in many ways. If the numbers are particularly strong, an owner may use the analysis to help attract a new investment partner. 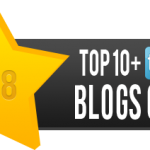 Alternatively, you may use the numbers to help attract low-cost debt. On the flip side, running a financial analysis can help illuminate red flags that would help deter someone from purchasing, investing in, or otherwise servicing a specific commercial property. A commercial real estate market analysis is an essential part of most real estate transactions. It’s a form of due diligence that reveals trends and helps industry professionals forecast into the future. A market analysis looks at various demographic, economic, and socioeconomic factors within a given industry. It typically includes indicators such as local employment rates, housing vacancy rates, median cost of housing and more. A market analysis helps to reveal critical information about local supply and demand, market rents, capital market access, and a property’s revenue generating potential. For example, the real estate arm of a pension fund may specialize in buying Class A office towers in primary markets. However, a major building boom in one specific market may give them pause. If an influx of new Class A office product is about to come online in that market, they’ll be facing steeper competition. They might be better off investing in a different market or different asset class for the time being. Market analyses are also incredibly helpful to residential investors, as they help to identify unique market opportunities. Coming out of the Great Recession, for instance, savvy real estate investors saw an opportunity to pick up low-cost rental units by finding pre-foreclosures. All they needed to do was look back at recently sold properties to realize that there was a market for these properties, many of which were single family, standalone homes. In several markets, rents remained high. Those who knew how to find distressed properties were able to purchase properties at a discount and then lease the units back to the owners at a fraction of the cost. A market analysis can be valuable to lenders and developers, as well. For instance, a lender would want to see a market analysis to verify whether the rents they can get are in line with market realities. A commercial real estate developer might use a market analysis when selecting finishes for an apartment building: for instance, can it command high enough rents in the market area to warrant installing floors with radiant heating? Possibly not. Just as a property analysis looks at an individual property, and a market analysis considers elements of a specific market, an industry analysis looks at features of an industry as a whole. 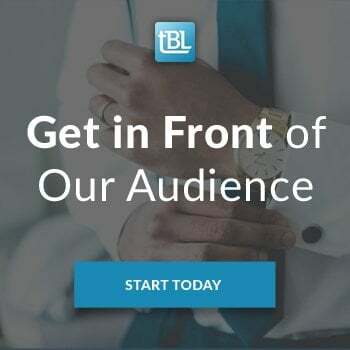 This could entail looking at how an industry is performing overall (e.g., nationally and even internationally), or how an industry is performing at your local level. Consider a hotel developer. The hotel developer would want to conduct an industry analysis to understand: total available rooms in the local market, average daily room rates, revenue per available room, average occupancy rate, market penetration and marketing cost per booking. An industry analysis tells a hotel developer whether a new hotel is really viable in that market, and if so, what scale and type of hotel is most likely to turn a profit. Similarly, an industry analysis can help real estate professionals identify certain market trends. One of the biggest trends in retail, as of late, is the move from big-box retail to more experiential retail. A leasing broker may use this information to narrowly target specific retail users, whereas a commercial property owner may decide to reposition the space on his ground floor to accommodate up-and-coming uses. Monitoring industry trends is no easy task. 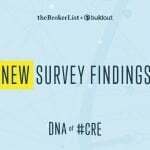 Most people rely on commercial real estate reports, such as those produced by brokerage companies like Colliers and JLL, to inform their industry analyses. Commercial real estate analyses used to be time consuming and burdensome. Fortunately, there are a number of commercial real estate analysis software applications that have hit the market in recent years to make your job easier. 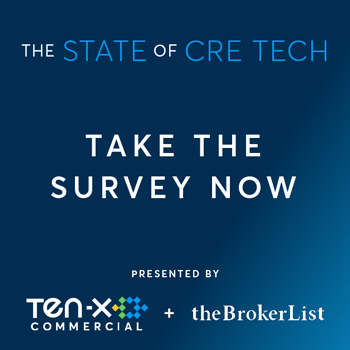 Reonomy, for example, is a tool that enables you to analyze multi family, land, and commercial properties, their owners, and tenants all in one fell swoop. Find prospects in any market in the U.S. that are likely to sell, buy, or refinance. Aside from Reonomy, however, there are quite a few software tools to help with each type of commercial real estate analysis. Buildium is one of the premier property analysis software applications, specifically targeted to property owners and property managers. The software helps track property accounting, maintenance, and online payments. DealCheck is an alternative commercial real estate software program that allows users to quickly search for homes based on important property features, such as location, square footage or number of units. The software pulls information directly from MLS to populate information about sales price, rent estimates and more. As we alluded to above, finding information about property owners can be difficult. Most people rely on public sources of information, such as the local Tax Assessor’s Database or county’s Registry of Deeds. With Reonomy, however, finding owner details and contact information on a property is incredibly, as is accessing their entire property portfolio. Learn more about that here. RealData is a software application that assists people in conducting a real estate investment analysis. RealData provides multiple products, including a software for professionals and for those looking to do a quick, “express” analysis. This software is especially helpful for those looking to analyze existing residential and commercial properties. RealData also offers software for residential, commercial and industrial developers evaluating various opportunities. It’s “On Schedule” product, for example, helps housing developers map out monthly construction, project absorption, loan draws and more, according to its website. ARGUS is a commercial real estate analysis software that, while complicated to learn, is used by most sophisticated real estate professionals. ARGUS is a valuable tool for conducting a financial analysis because it assists users with valuation, budgeting and asset management solutions. It can be used to analyze cash flows, budgeting, and strategic planning. PropertyMetrics is another commercial real estate analysis software that can help users build a pro forma for their property. It provides information about cap rates, the internal rate of return, and net present value. PropertyMetrics can also help professionals build real estate equity waterfalls. Those who need to conduct a portfolio analysis might also use ARGUS. In addition to evaluating individual properties, ARGUS can be used for portfolio analysis, including investment and risk management. PolicyMap is a GIS mapping tool often overlooked by commercial real estate professionals. The software allows users to add multiple layers of data to identify market trends. For instance, you can search for multifamily homes in a specific zip code that have sold within the past year. You can add another layer to the map to display information about market rents in that zip code, and then filter by number of bedrooms to assess rents per bedroom. For someone looking to invest in an apartment building, this gives a sense of the strength of the local market and what the future owner could reasonably expect to command in rents. PolicyMap allows uses to investigate other market trends—economic, demographic or otherwise—to help paint a picture of how well that market will likely perform into the future. 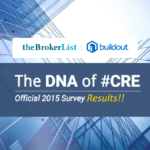 When looking for industry information, commercial real estate professionals generally rely on reports provided by large brokerage firms, such as CBRE, Cushman & Wakefield, Colliers and JLL. These companies have robust research teams that source data from a multitude of places to provide quarterly and annual reports for various industries and asset classes. The National Association of Realtors (NAR) and NAIOP are industry organization that also provide industry insights on a regular basis.